Buying a running buggy which can also be your everyday buggy is smart. The Mountain Buggy Terrain is a great option for a universal use buggy. It can be used from birth as it is due to the lie flat mode but many parents prefer a carrycot in the early stages in order to have their baby parent facing. Depending on your size of baby they will grow out of this at 5-6 months. Last year Mountain Buggy launched a new item, their 'Cocoon' as an alternative Carrycot. If you want to know the differences to that and the Carrycot Plus (a question asked more and more) then take a look below. The Mountain Buggy Carrycot Plus has ways to be set up; Traditional carrycot, a slight incline for reflux mode and then a smaller incline seat. It also has metal feet which keep it off the floor when not on the buggy, as airflow underneath is recommended for safe sleeping. It has a fully ventilated removable mattress which has passed safe sleep tests meaning you can use this as a moses basket when travelling. A lightweight, lie flat, soft shelled carrycot that travels with you for newborns. Has a protective zip lid to shield your baby from the elements. 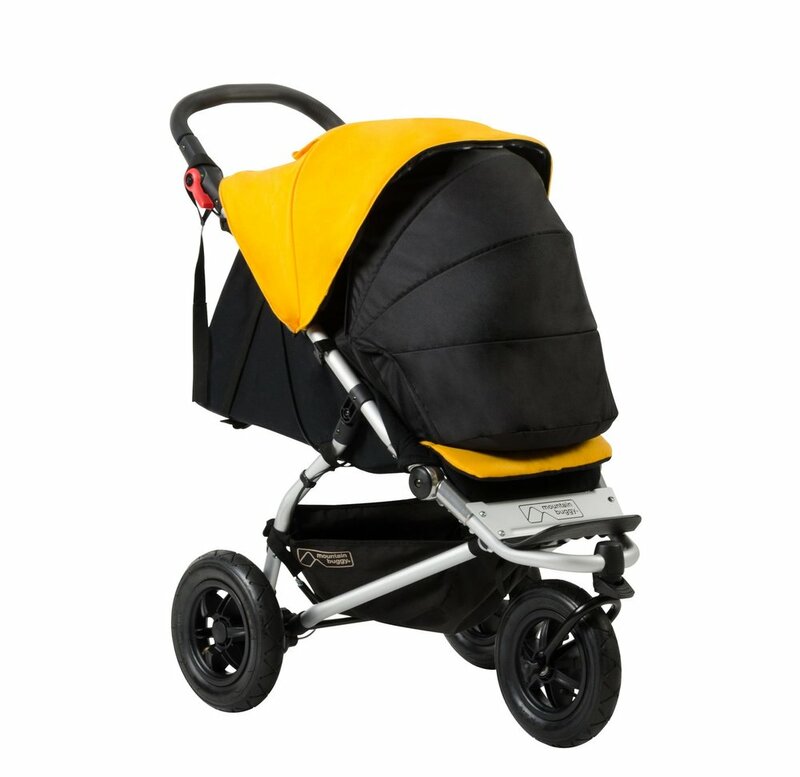 The cocoon provides carry handles and a firm base, so you can easily transport your baby in and out of the buggy without disturbing their rest. As shown on the Swift model but on the Terrain it would be the same set up.